Are you careful about high-protection mineral sunscreen on your face, but wear any old SPF—or none at all—on your body? You might want to change that habit! Using a safe, effective sunscreen is just as important for your body as your face. There&apos;s more surface area to cover, so more chance of absorbing hormone-disrupting ingredients, and more potential to burn if the product doesn&apos;t contain sufficient levels of actives. Plus, UV rays are equally aging to the skin on your body, leading to thinning, wrinkling and pigmentation. That&apos;s why I&apos;ve created this list of the very best body sunscreens on the market right now! The best body sunscreens from Beautycounter, DeVita, LaSpa, Aveeno, Rocky Mountain Soap Company, Neutrogena and Attitude. PUFA-free or low-PUFA: Polyunsaturated oils become toxic in UV light, so I avoid them in the first five to 10 ingredients. But you won&apos;t be able to ascertain this if the brand lists ingredients alphabetically, so make sure to check! Free of AHAs and vitamin A: These are photosensitizers, but fortunately, not in anything I&apos;m mentioning here. Silicones: Not a big deal for the body, unless you get chest or back acne (in which case I&apos;d suggest using a lightweight, silicone-free formula there). Whitening: I&apos;ve noted all brands with a non-whitening claim. Fragrance: None is best, but it&apos;s not as problematic for the body as the face. Parabens: All products below are paraben-free. Cruelty-free: Everything here is cruelty-free except for Neutrogena and Shiseido. Water-resistance: Because brands have to pay to make this claim, some sunscreens MAY be water-resistant even if they don&apos;t say it. Reef-safe: All products below are safe for coral reefs. For more on my sunscreen criteria, read this tutorial! If you&apos;re in Canada, Attitude 100% Mineral Sunscreen SPF 30 is a great pick because of the 20 percent zinc content and short, simple, fragrance-free ingredients list. It has a creamy texture but isn&apos;t greasy at all once you rub it in. Since it&apos;s silicone-free, I use this on both face and body! Another 20 percent zinc sunscreen from the same brand is Attitude Sensitive Skin 100% Mineral Sunscreen SPF 30. It also has one percent colloidal oatmeal to soothe sensitive skin. This, too, is fragrance-free and silicone-free, with a lightweight lotion texture that could be used all over. If Aveeno Baby Sensitive Skin Mineral Sunscreen SPF 50 is good enough for babies, it&apos;s good enough for you! In fact, this formula is basically the same as the "adult" version—both contain 21.6 percent zinc oxide. I like that it&apos;s water-resistant, widely available and has an affordable price! 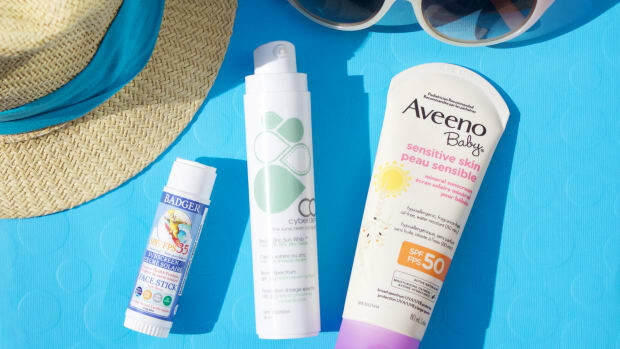 Aveeno Sensitive Skin Mineral Sunscreen SPF 50 has a similar texture and ingredients list to the "baby" formula, but appears to only be available in Canada. Since the brand also makes a mineral sunscreen with just 3 percent zinc (ugh), make sure you check the ingredients list before you buy. The 21.6 percent zinc is what you want! Beautycounter Countersun Mineral Sunscreen Lotion SPF 30 is a new formulation that can be used on face and body. I definitely prefer it for body, as it tends to leave your skin a little shiny, and requires some rubbing in to get rid of the white. At 19 percent zinc oxide, it&apos;s just one percent short of my criteria, so basically decent protection—and it&apos;s water-resistant for 40 minutes! One of the only zinc oxide sunscreens I&apos;ve seen in a mist is Beautycounter Countersun Mineral Sunscreen Mist SPF 30, another new launch this year—so exciting! The zinc oxide content is a little low (14.5 percent), so this would be best as a top-up product when you&apos;re re-applying throughout the day. It sprays on white, but blends out clear, leaving a similar sheen to the lotion. If you&apos;re after a more natural formula and a super lightweight texture that won&apos;t clog pores, consider DeVita Solar Body Moisturizer SPF 30+. It&apos;s silicone-free and made with ingredients like aloe vera, shea butter and olive oil. And at 19 percent zinc oxide, it&apos;s also very close to my criteria. This one dries down quickly with no oily residue, and then becomes completely clear. LaSpa Daily Sun Protection Lotion SPF 20 has one of the shortest, most natural ingredients lists, and is silicone-free. The texture is a white cream that transforms into a milky oil on the skin. Once you blend it out, the white disappears, and the oil gives your legs a nice, hydrated sheen. At 14 percent, it is a little bit lower than I&apos;d like in zinc oxide, but they are only claiming an SPF 20. Neutrogena Sheer Zinc Mineral Sunscreen SPF 50 is a decent drugstore option with 21.6 percent zinc oxide. It&apos;s also water-resistant. It&apos;s funny, despite the "sheer" claim, I find it is similar to the Aveeno in terms of whitening (which makes sense, since they&apos;re all owned by the same parent company). If you&apos;re in the UK, be aware that the zinc oxide content is slightly lower, 18.24 percent (still not bad). Rocky Mountain Soap Company Vanilla Coconut Natural Sunscreen SPF 31 is one of the more natural formulas, and lightweight enough to wear on both face and body. It has a slight tint, although it won&apos;t transfer onto clothes at all, and dries down semi-matte. There&apos;s 20.1 percent zinc oxide in here and no silicones. 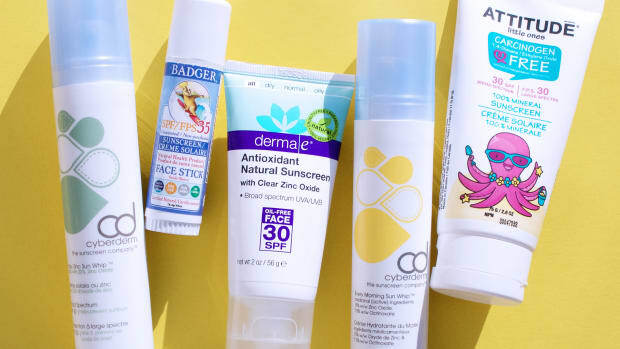 While I&apos;ve personally tested all of the sunscreens above, I also came across a few more options I wanted to share! Baby Bum Mineral Sunscreen Lotion Fragrance Free SPF 50 is technically a baby sunscreen, but there&apos;s no reason why you couldn&apos;t use this formulation as well (in fact, it&apos;s almost identical to the "adult" one!). I like the 20 percent zinc oxide, and the fact that it&apos;s fragrance-free and silicone-free. If you just want to use a single product, Block Island Organics Natural Mineral Sunscreen SPF 30 is one that works on face and body. 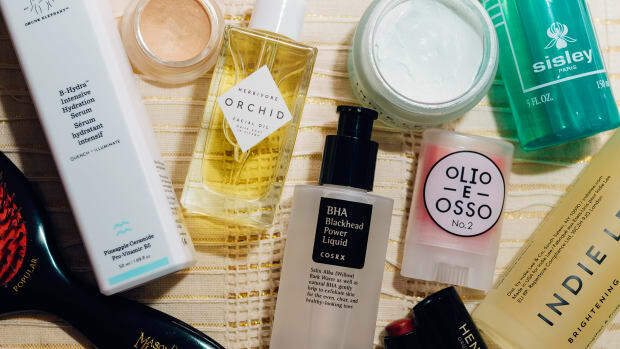 It has the highest percentage of zinc oxide on this list, 22 percent, along with great ingredients like aloe vera, shea butter, coconut oil and jojoba oil (and no silicones). Derma E Sun Defense Mineral Oil-Free Sunscreen SPF 30 Body is a mostly-natural SPF that is high in zinc (20 percent) and free of fragrance. They&apos;re calling it "oil-free," but there is a small amount of sunflower seed oil in here. So, not quite accurate, but I don&apos;t think it&apos;s enough to worry about either way. Juice Beauty SPF 30 Sport Sunscreen is ideal for sports, swimming and sweating, as it has 20 percent zinc and is water-resistant for up to 80 minutes. It&apos;s also full of natural ingredients and contains no silicones. MDSolarSciences Mineral Moisture Defense Body SPF 50 is another water-resistant sunscreen; this one protects with a combination of 17 percent zinc oxide and two percent titanium dioxide. (It would be even better if it had more titanium.) It&apos;s oil-free and fragrance-free, although not silicone-free. MyChelle Dermaceuticals Replenishing Solar Defense Body Lotion SPF 50 has a high zinc oxide content, 21 percent, and is rich in coconut oil and shea butter for hydration. It’s also water-resistant and is said to be non-whitening. Note: They list their ingredients in alphabetical order, not highest to lowest concentration. If you love creamy, fragrant body moisturizers, you&apos;ll probably like Pacifica Mineral SPF 50 Body Butter, a body butter with 22 percent zinc oxide. It comes in two scents, Blood Orange and Pineapple Flower, and while there is "parfum" in here, it is not synthetic. This formula is also water-resistant! For a bronzed look, Pacifica Mineral SPF 50 Bronzing Body Butter is the brand&apos;s tinted body sunscreen with 22 percent zinc. (They also have it in a face format, which I talked about here.) It is water-resistant, but they don&apos;t say anything about it being transfer-resistant... so I would wait until it&apos;s fully dry before getting dressed, and wear dark colours if possible, just in case! Shiseido Ultimate Sun Protection Lotion SPF 50+ WetForce for Sensitive Skin & Children offers a high level of UVA and UVB protection, with generous amounts of both zinc oxide (19.3 percent) and titanium dioxide (9.1 percent). It actually becomes even more effective when you get wet—so consider this product if you plan to be in the water. Sun Bum Mineral Moisturizing Sunscreen Lotion SPF 50 is the only "grown-up" sunscreen that meets my criteria from this brand. In fact, except for the fragrance, the ingredients are identical to the Baby Bum Mineral Sunscreen! I&apos;ve noticed this happens so often in sunscreens; they just slap a different label on the same product! This one protects with 20 percent zinc oxide. The Honest Company reformulated its sunscreens for the third time, and finally I can recommend one! (It was the second reformulation, which lowered the amount of actives, that resulted in many people getting burned!) Now, they&apos;ve fixed that mistake with The Honest Company Honest Mineral Sunscreen SPF 50+, which contains an adequate 19 percent zinc oxide and plenty of natural ingredients. Thinksport SPF 50+ Sunscreen is high in zinc oxide, at 20 percent, and is said to sink in fast without feeling greasy. The dimethicone and PUFA oils in here are in low amounts, so I don&apos;t think they&apos;re a concern. Have you tried any of these sunscreens?